It’s no secret that the blogging world is full of a ton of different niches.  Blogs can be made up of financial information, family adventure, lifestyle tips and hacks, and really anything and everything that the blogger wants to write about. Great questions, with an overall simple answer. Lifestyle blogs are different than any other type of blog out there. They tend to focus on being a bit more visual and make certain that they are using high-quality images to showcase their activities and interests. If you actually look up the word “lifestyle” in the dictionary, it literally means that it’s the way a person or a group lives. Will there be stories told? Yes. Will there be experiences discussed and talked about? Yes. 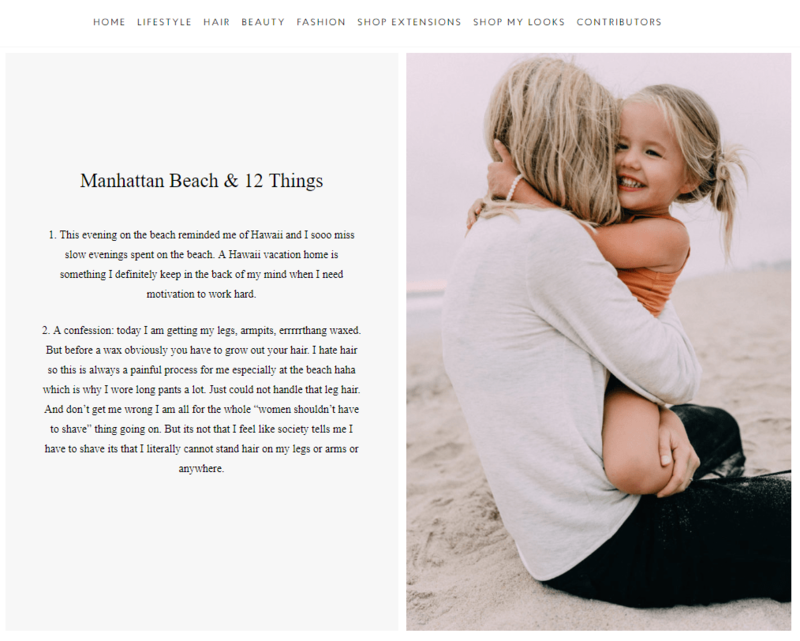 BUT, what differentiates a lifestyle blog from any other type of blog is that it focuses on interests and activities, and less on “storytelling” or trying to make a personal connection with words and emotions to the reader. While there can be similarities between a lifestyle blog vs a personal blog, the two are actually quite different. Lifestyle blog vs Personal blog – What’s the difference? First and foremost, understand 100% and hear me loud and clear – a lifestyle blog is not a personal blog or a place to showcase a diary of your life. When a blog crosses over into personal stories and emotions, it’s now entered into the realm of a personal blog. While there are plenty of popular personal blogs, it’s imperative to understand that they are completely different from a lifestyle blog. Don’t get me wrong here. These two blogs are both super successful in the blogging industry. However, if you look at the followers and the engagement from the audience, it’s plain and simple to see that they attract a totally different audience and set of followers for each one. As stated above, lifestyle focuses on interests and activities and finds fun ways to pull you in, while a personal blog finds ways to open up themselves, their stories and their lives with you through their writing. Note: Many bloggers use little bits of personal life throughout their blog to incorporate storytelling into any type of blog (food, lifestyle, fashion, crafts, or business). Storytelling is a powerful tool to help build a connection with your audience, but only in a personal blog is it the main focus. 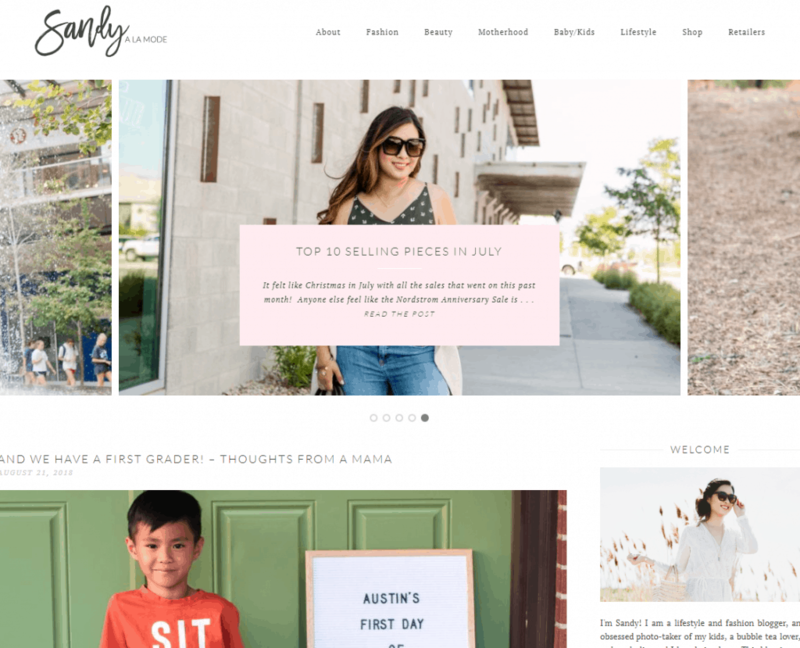 Another way that you can typically tell that you’ve ventured onto a lifestyle blog is that it’s, for the most part, laid out in an easy to read fashion, with a lot of light colors used as the background. Having a lifestyle blog means that your pictures need to “pop” and catch the eye, and one way to have that happen is to have them light and bright located randomly all over the blog. 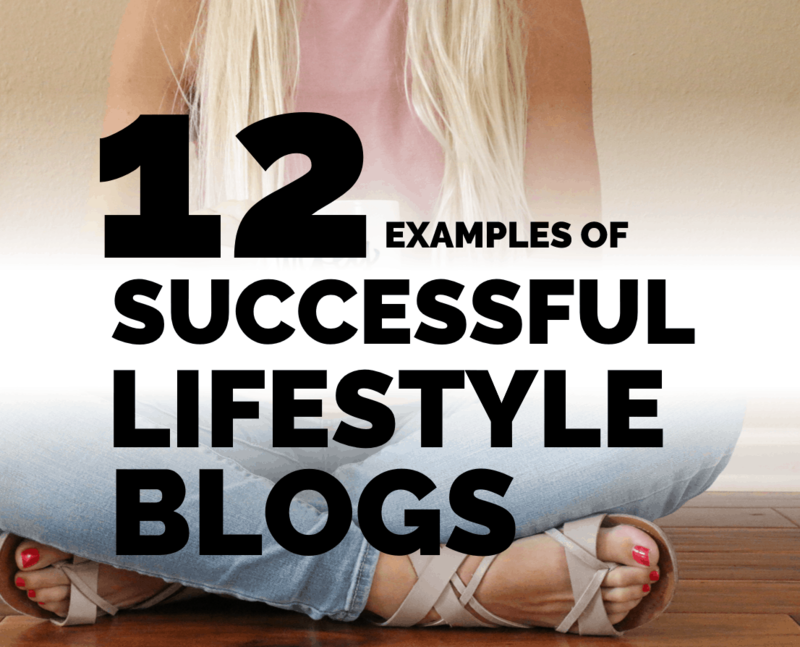 And if you still feel like the difference between a lifestyle blog and a personal blog is about as clear as mud…here are some examples of successful lifestyle blogs so that you can see the difference with your own two eyes! How Do Lifestyle Blogs Make Money? With all the products about health and beauty that the majority of lifestyle blogs write about, sponsored posts are one of the top ways that lifestyle bloggers can really start to earn some good money from their content. Some sponsor companies give you free products to review, this can help you save money and grow your blog at the same time! What good would it be to review all those beauty items and fashion trends if you couldn’t sell them yourself on your site to earn a bit of extra money? Affiliate products are a great way to start earning some quick cash fast when you’re a lifestyle blogger. Everyone loves a good ad, right? Advertising networks will pay good money to have their ads on a heavily visited lifestyle blog. 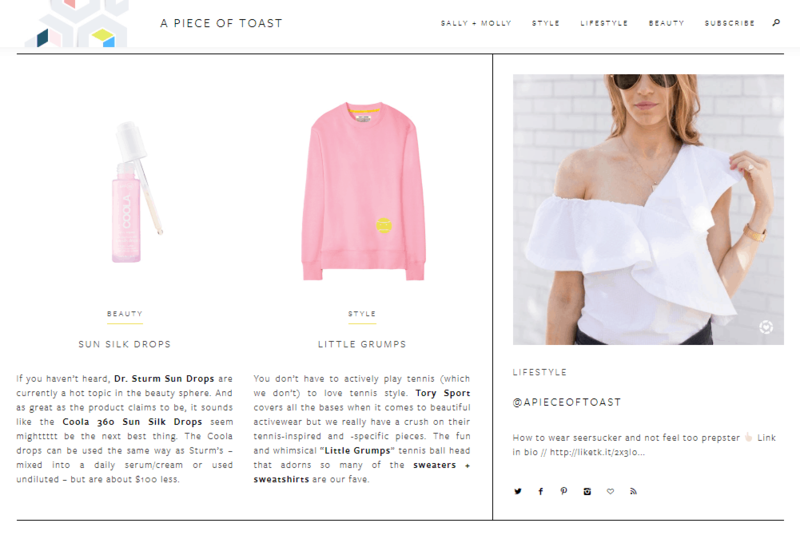 Lifestyle bloggers are also known to be quite creative, so it’s not rare to see a blog with their own “shop” tab as well. From shirts to coffee mugs to even fun weekly planners, lifestyle bloggers see no limit to the products that they can create to earn money. It isn’t unheard of for a lifestyle blogger to write books or branch out into the magazine world. All of those products are great ways to link back up to their blog to monetize quickly and efficiently. And if your lifestyle blog gets really big, and starts to draw a lot of attention, people will start to pay you to come and see them! Isn’t that an amazing goal to reach for? Honestly, the steps to start monetizing a lifestyle blog are the same steps that any type of blog would take. What a blog needs to start earning money is traffic, good content, and a knowledge for marketing. If you can get those three aspects down, you’re well on your way to start earning some money from your lifestyle blog (or any type of blog, honestly). 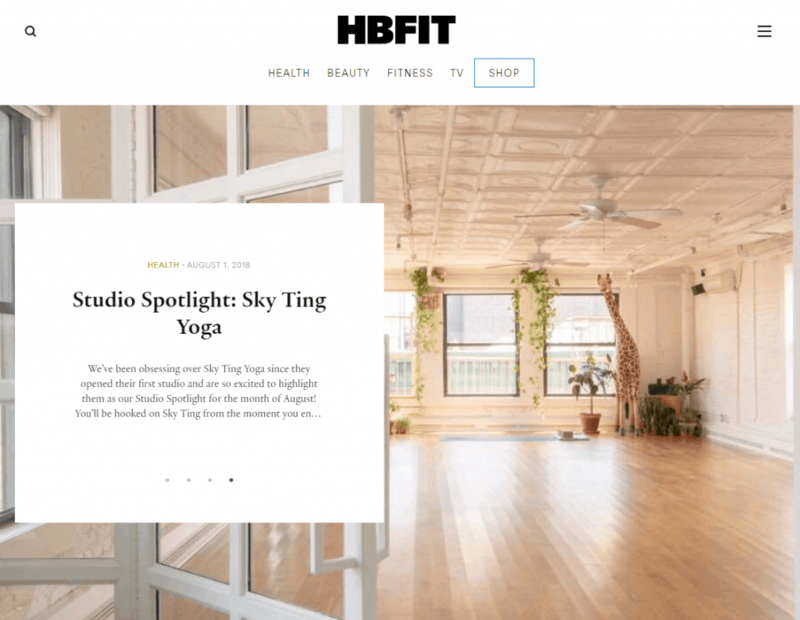 Now that you know what a lifestyle blog is, and you’ve seen some stellar examples of ones to follow and learn from, it’s time to look deep inside yourself and ask yourself the simple question. 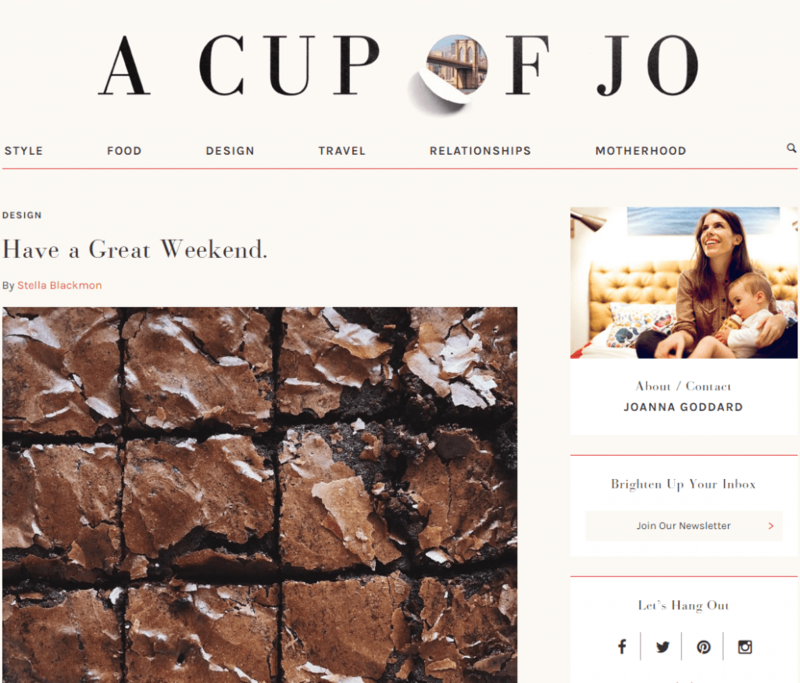 Is your blog a lifestyle blog? If the answer is yes, then keep it up. 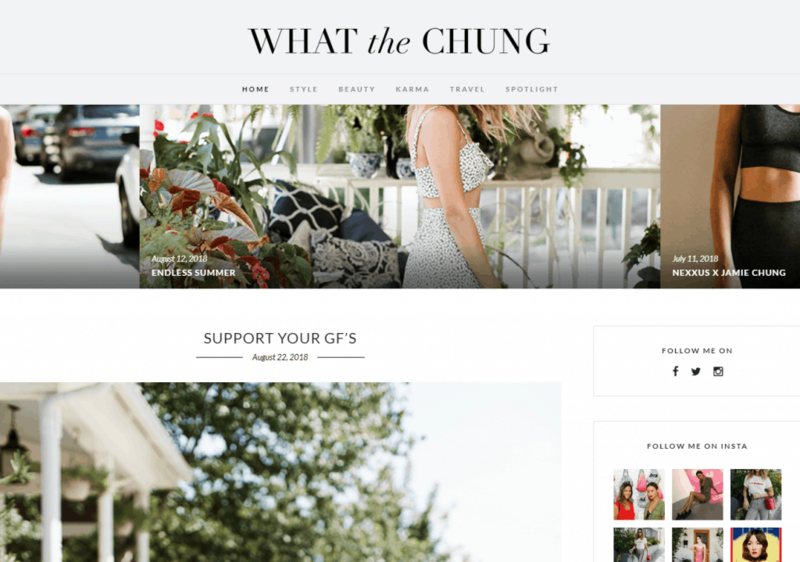 Lifestyle blogs are super popular and don’t seem to be losing steam anytime soon. If your answer is no, follow up and ask yourself if having a lifestyle blog is what you truly want. 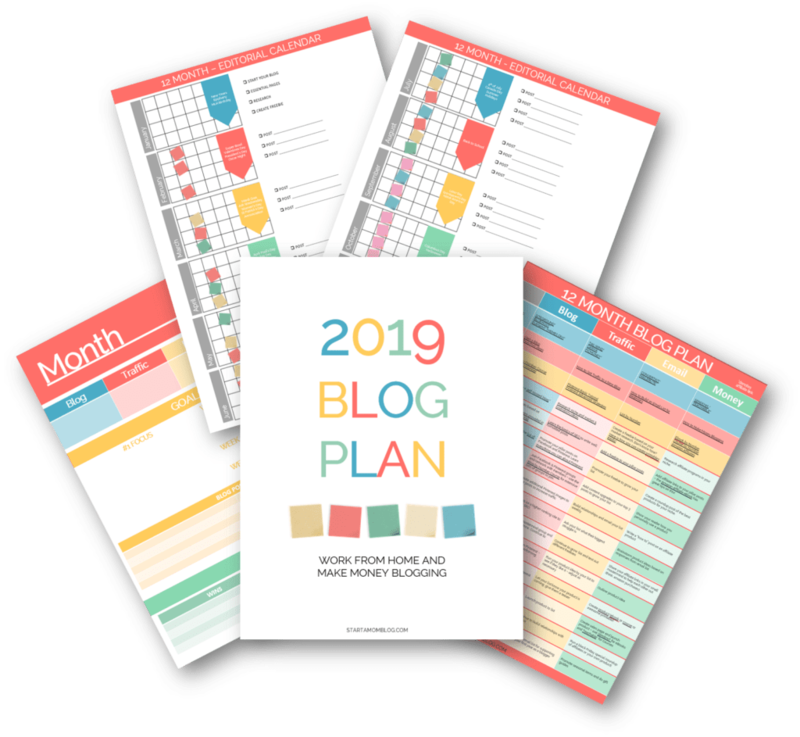 While you may have started out your blog as a personal blog, you can make the switch and start becoming more lifestyle-focused. Remember, it’s all about what you create and put out there for your readers. And if you haven’t yet even started a blog, welcome! Before we get into the examples of successful life style bloggers, how do you actually start a lifestyle blog, and what are the best free blog sites to use? At this site, you’re among friends. No questions are too big or small, and I’m here to lend a helping hand. If you’re ready to start your own blog, here are a few simple tips to help get you started. If you can zone in on what you really want to focus and blog about before you get started, you’re way ahead of the game and you’ll end up saving yourself a ton of time down the road. There are lots of blogs out there that you’re competing with once you decide to start a blog. Your blog name needs to stand out and make people want to hang out with you and your ideas. Embrace your unique qualities and be different. If you’re too cookie-cutter, you won’t stand out. Some people have the lifestyle thing down, they are pros at holding that fancy cup of coffee and taking amazing pictures…others don’t. If you don’t have the experience in travel, adventure, beauty, and health, then a lifestyle blog may not be what you’re looking for…and that’s okay! Allow yourself to explore everything else out there in the blogging world. From mom blogs to finance blogs, there is room for everyone to run a successful blog in the online world. 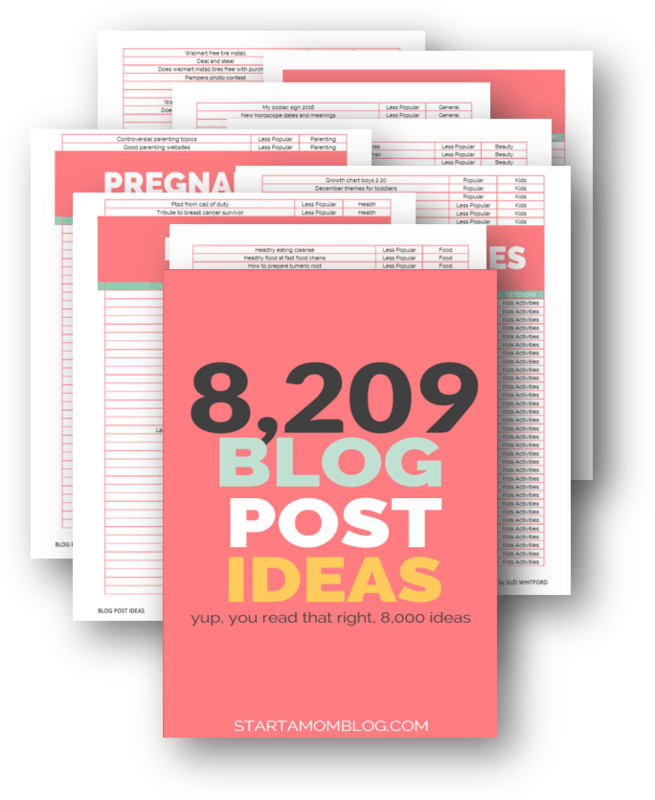 This can help you discover what type of blog you should start! Do you know why people will come to your blog, day in and day out? To read your content. They care about your thoughts, your opinions, and value what you feel is the latest and greatest “thing”. But one day, that feeling of writer’s block may hit you. (It happens to the best of us.) And when that happens, you need to have a few hidden gems in your pocket to help see you through. My advice? Always have a pen and paper handy to jot down post ideas as they come to you. I constantly have my bullet journal by my side for quick notes and ideas. You never know when inspiration will strike, right? You could be in traffic or at the movies waiting for the previews to be done. If you have an idea about a great blog title or content, write. it. down. The more ideas that you have, the better chance that you’ll have a nice stockpile to use later on down the road! Keep in mind that even though now everyone knows and understands what a lifestyle blog is, the examples above should be a great basis to show you how niched down it really can be. While it may seem like the lifestyle blogging world is over saturated, that just simply isn’t the truth. There may be lots of lifestyle bloggers in the niche you want to pursue, but none of them have your life, your ideas and your advice. You are unique, so don’t be afraid to show it! Here is a quick list of top lifestyle blog categories you can write about when you’re starting your lifestyle blog. And of course, you can have slight overlap if you blog about multiple categories – just try to keep them related to each other. Such as fitness and healthy meals or motherhood and family. You can take multiple topics and find the overlap. Here’s a simple method to find tons of ideas of what topics to write about. Ah, and just to make it more fun, here is one more example! Take a few categories and make your own unique recipe for your blog topic! See, it’s easy! 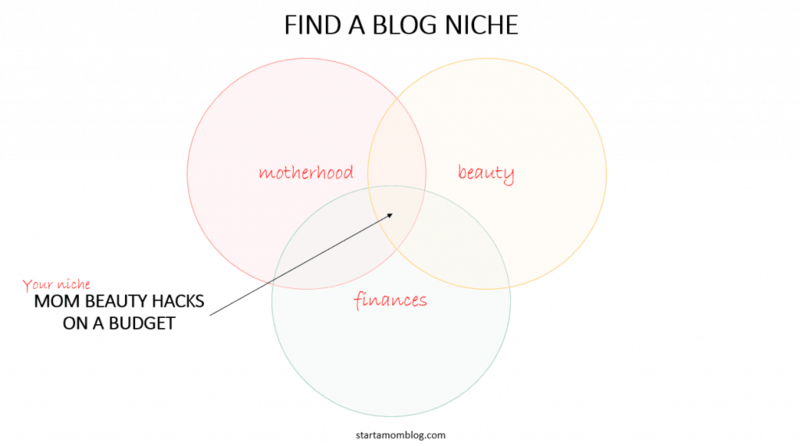 You can niche down to exactly the topic that you’re super passionate about. And then you can incorporate your life to tell the story around your passion. 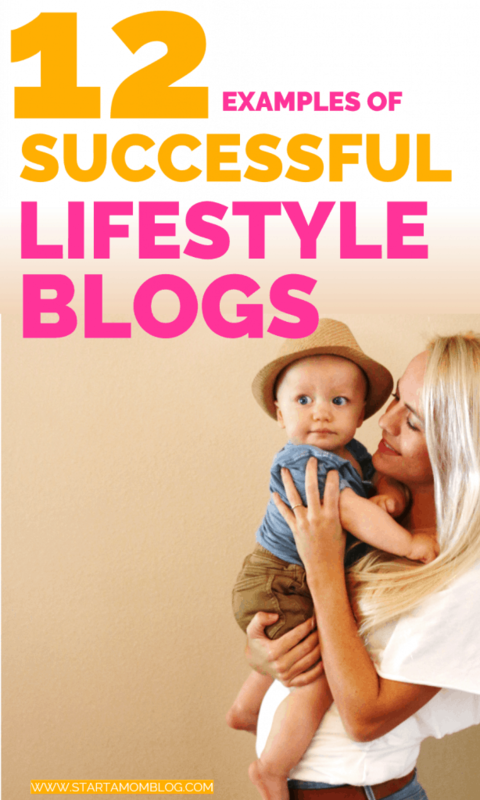 Now let’s get in and see how other successful lifestyle bloggers are growing their blogs! 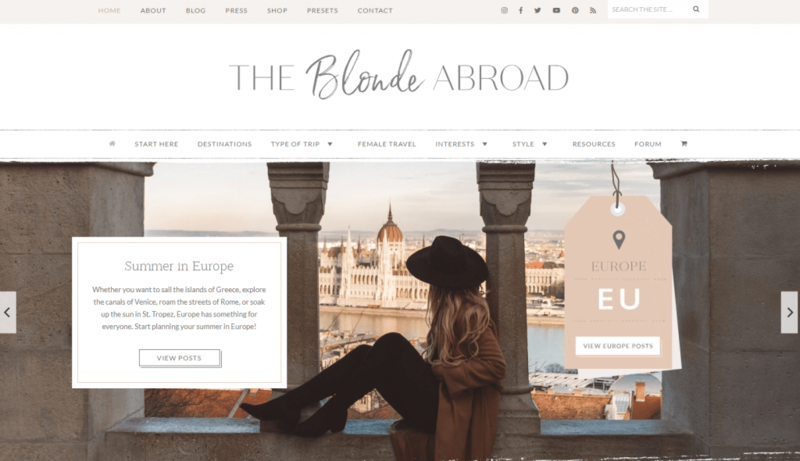 Barefoot Blonde is a lifestyle blog that talks hair, beauty, and fashion. You may find a bit of story or personality sprinkled in here and there, but her overall focus tends to be on hair. A Cup of Jo lays it out there for you. Topics revolve around design, travel, and relationships. She’s one of the best lifestyle bloggers out there and spends a lot of time talking about life and motherhood. The Skinny Confidential is the type of lifestyle blog that just pulls you in. There’s a realness about her and her stories that are relatable, but not entirely relevant. She tends to focus on beauty, body and has recently started her own podcast as well. From fashion to accessories, Sincerely Jules has you covered. You won’t have to search hard on her site to see the latest trends. Ran by sisters, A Piece of Toast does a great job of focusing on fashion, travel, music, and beauty. They focus on making their blog humorous and fun as well. 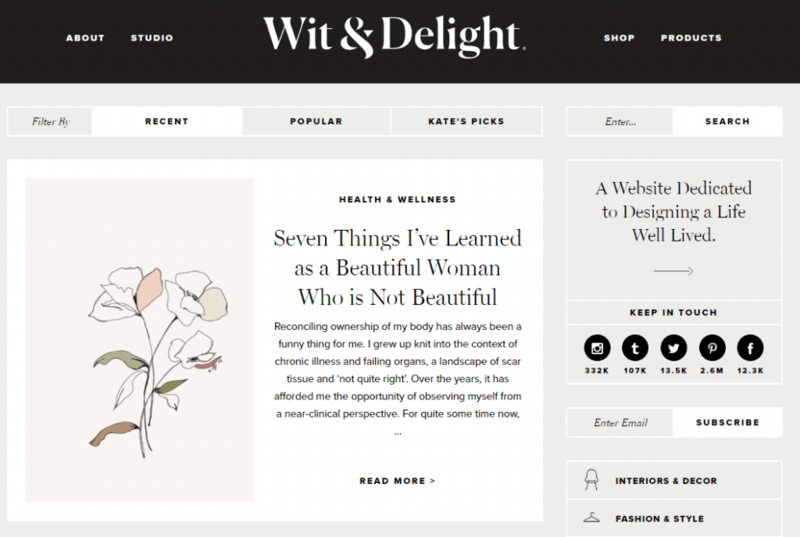 Wit & Delight talks health, relationships and focuses on teaching and telling others to live their best life. If you want to learn all about fashion and beauty, The Blonde Salad is the perfect lifestyle blog to start with. The Blonde Abroad talks about female travel, destinations and super fun points of interest. 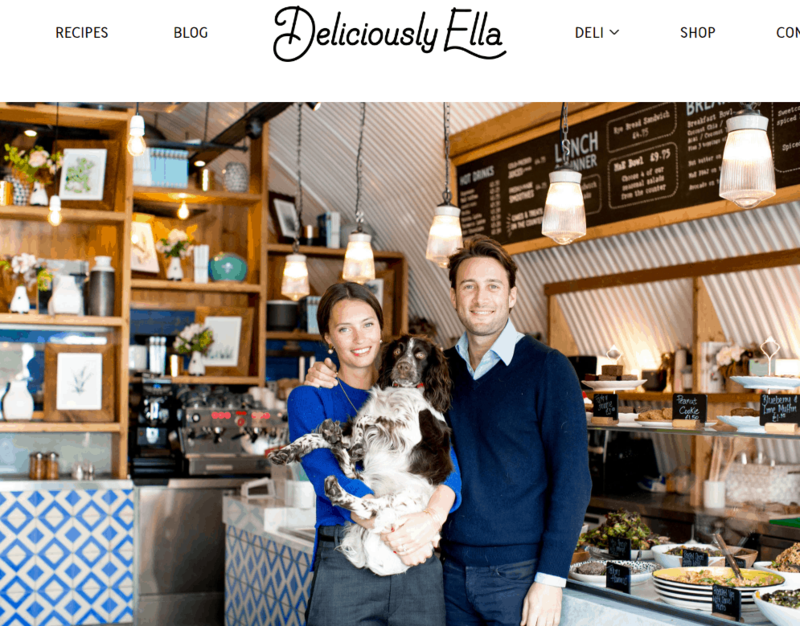 If you love food, you’ll love following along with Deliciously Ella. She showcases a ton of healthy food options that anyone can enjoy. What the Chung talks beauty, travel and even a little bit of karma sprinkled in here and there. 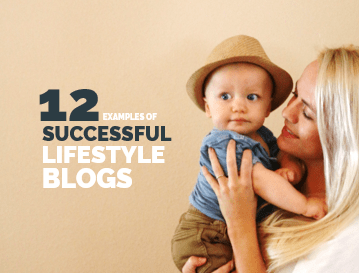 The 12 lifestyle bloggers listed above had made quite a name for themselves in the blogging world. Can you be right behind them and find your own success shortly? As with any niche in the blogging world, there is always room for more. And while it’s true that you’ll be competing with other blogs, you can do things to keep your blog different from the others. Remember the circle graphs above? Be true to who you are, write about what excites you and what you’re knowledgeable about, and understand that the blogging world is a slow and steady race, not a sprint. The magic of becoming successful with whatever type of blog you have won’t happen overnight, but with enough patience, persistence and determination, it will happen! That’s fantastic! As a mom that’s such a big priority with taking care of a family! I’m not finding very many examples of blogs in that niche which makes me wonder if it’s a viable idea. All my friends who are grandmothers love the idea though. Cathy, YES! If I was a grandmother, I would do it! Go for it, please, and keep me updated on your success! I want to blog about parenting/motherhood and fitness and building a business online through affiliate marketing. Though the afilliate company I am involved with has high ticket items so I’m trying to figure out how to pull everything together so that its relatable and intertwined. It’s possible Kristine! 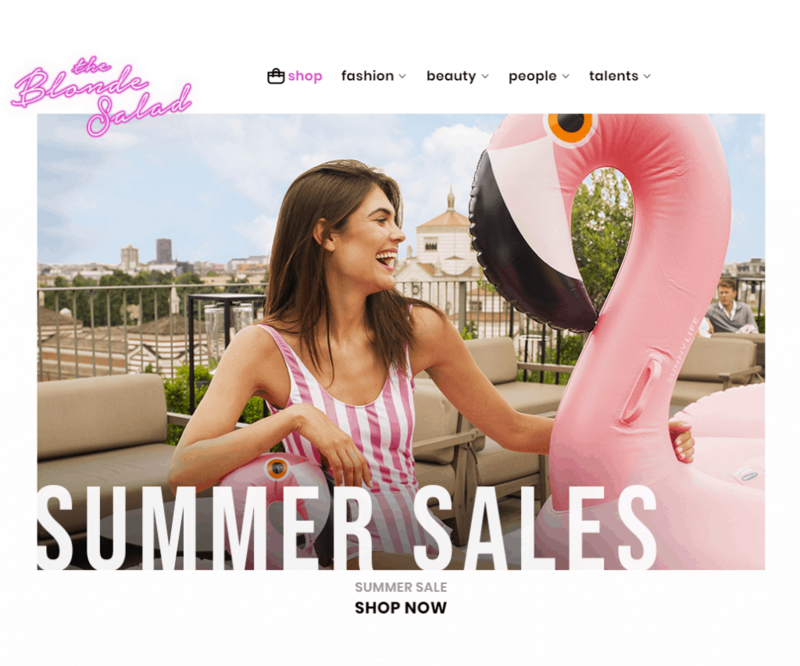 You can promote high ticket items – do a comparison of a high vs low priced item in your niche – if you can become an affiliate for both products, it’s a win for you either way – and your readers can choose the right item for them! 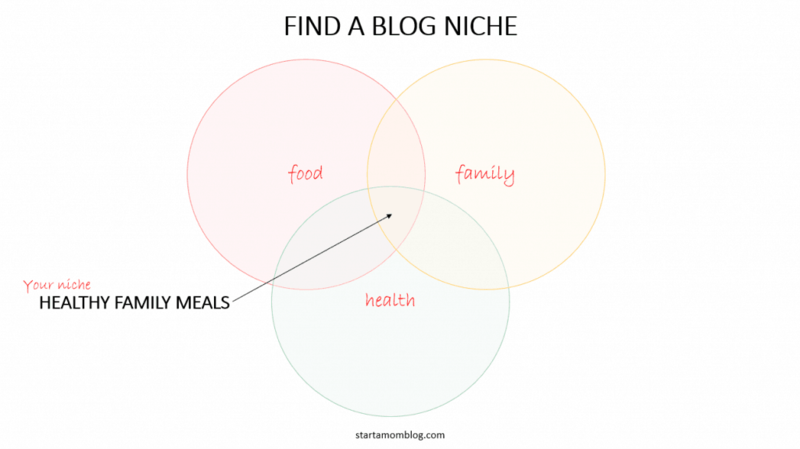 This is a great post of distinguishing between a lifestyle blog vs personal blog. Love the photos! I love this SO much. You hit the nail on the head, and I’m so glad to reference this when someone asks me what the difference is between the two! 🙂 Thank you! Another fantastic post, Suzi. I follow your posts, and they teach me new stuff all the time. I have a blog, and I write on Goals, Success Planning, Productivity, and self development. I write what I am passionate about. But I am still trying to figure out if I can call it a lifestyle blog. Any advice? Thank you for providing so much information! I entered my email and clicked “Free Download” for the Free blog plan course, but have received nothing. Can you guide me please? I’m in the early stages of planning a blog and this type of help is appreciated. I launched Instagram and Facebook pages last January and think I would fall under the category of Lifestyle blogger, but not entirely sure yet, so will continue with further research. My motto is ‘Life’s for Living’ and sharing my experiences of my life, family and travel as well as fun things I find. thank you. i will try your suggestions. easy task and the wrong one can cost you a lot more money than you expected. You can also take advantage of many great savings with a discount code voucher, such as 10% off any Apple product online and even 10% off Samsung phones; they really are committed to providing great value goods to customers. Wow this is a really great post nd very intelligent…one of the best I have come across so far talking about what a lifestyle blog is all about. Hi! I LOVE all of your info and help and I especially liked the “quiz” on what type of blog I should have. That’s my issue and I’m a little stuck. I LOVE to write and want to blog for the creative outlet but I’m being honest.. I’m a young 65 and am on a very small fixed income, so I also want to generate some income. I’m not sure where to focus. I was a chef with a culinary degree but have been out of the industry for 12 years or so. Two years ago I sold most of what I had and packed up a 16 ft. truck and drove 1500 miles to reunite with my first husband after 40 years of not seeing each other. We are happy but it is a major adjustment. I used to have a big gorgeous house and kitchen, entertain etc. ( my money, not the ex) but lost it all… now I am happy but live it a very small run down house which we want to restore but you know, dinero. I have made a new life here and am a music director at my church. I want to start a new garden this year… a new challenge in a new climate. I lost 60 pounds over the last four years and am trying to live natural, eating clean, and getting back to working out without going to the gym. So much! My daughter is 24 and is back east. We talk every day about her career and life … she totally followed in my footsteps, yikes! I was adopted as an infant and I adopted my daughter as well at 4 days old. I met my birth mother 26 years ago and have a wonderful close relationship but didn’t really get close to my sister until about a years before I moved west. I have so much to say! But what to pick? How to incorporate? ALSO, I started an etsy vintage business a few years back and since moving out here and partnering with my first husband, we are growing! Not enough to make a living yet, but it’s growing. However, I can see that as we get more sales and have to pack and ship we will be spending a lot of time doing that. I sometimes wonder how that will be when I’m 70 or 75. So I want to blog but I’m not sure of a niche… the quiz came up lifestyle and curator almost equal. The lifestyle blogs I see all have to do with fashion , beauty etc. I am more Home arts, cooking, gardening, music, genealogy, history, vintage stuff, story telling, and drawing when I find time. So is this to much for lifestyle? ANY feedback most appreciated! Thanks! We have gone through your blog posts and it’s really good and impressive. I would like to know how we can share our Article on your blogs as a guest blogger. I would appreciate your kind response and let me know how I can move on ahead. Great useful article. Most of the information is really helpful to me. Thanks for sharing this article. Buy the light weight ties handmade in Italy made of 100% silk at affordable rates from Koshieo. Make sure to dry clean the ties only. I came by this article totally by chance but I must say I am glad that I did. Coming from a person who loves to read articles about almost everything this has been one of the most captivating reads for me all week. Hi, Suzi! Right now, I’m still twisting my brain and concept for my (soon to be) blog. I’m kinda interested to write and share many things about lifestyle. I want to talk about my study experiences and tell people about many things about knowledge, school, scholarships, etc. in it. So, my questions for you, is it also part of lifestyle blog? Can I put it in a lifestyle blog? Should I change the theme? Please give me some suggestions. Thanks a lot. My relatively new lifestyle blog, D20 Theory, focuses on Crafting/DIY, Hosting/Entertaining, and Productivity. We have a lot of fun content on our Instagram and Pinterest pages, as well! This is so helpful thank you for the post. I really would like to start my own lifestyle blog. I currently have one now but it’s really generic and I am trying to find a niche that I am good at. I am so excited to get started making my own lifestyle blog> I am a big participant in anything DIY, I love making meals and finding new recipes to tweak and make my own, and I love to travel (I start my new flight attendant job in April! )… So I suppose my niche is Food, Travel, DIY…with a few more lifestyle thangs sprinkled in! Thanks for providing a free guide to starting a blog. I have found SO MANY out there that cost $50 or more, but then you look deeper and they still want you to buy 10 other products…..not so reasonable for a beginner like me! Still working on a domain name but I’ll keep you updated 😉 Thanks again!! Nice blog! You have shared the good blog. Thanks for sharing such a nice article. I have also 2-3 blogs on lifestyles. I want to create a blog with a few different things but am not sure if they have enough overlap. I love Home decor, I think I have a good eye for design that is a little left of popular, and would love to create my own store. I love the subject of mental health/self care. I want to do a weekly podcast review because there are so many out there and so many people that have not been introduced to the podcast world. I also love to travel, I am a military spouse with 2 preschoolers so I have the opportunity to explore my local area for a few years and then start over when we move. I could do a bucket list for each location and write about each Item. Is this to much? or would it fit under the lifestyle Blog Umbrella? love this post! i want to start a blog regarding beauty, travel, and self love.